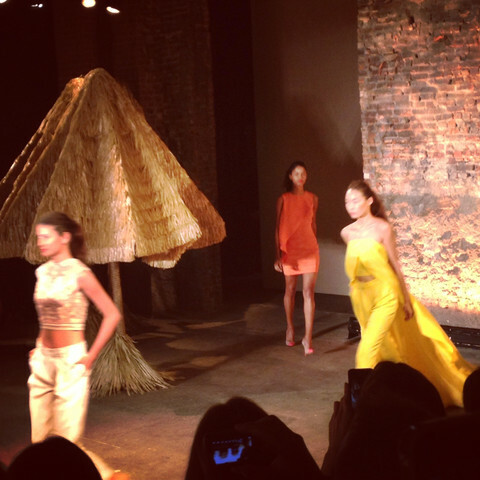 The tents are no more and the leaves have begun to fall, but NYFW is still fresh in all of our minds. Running from show to show you could hear the chatter about everyones favorite trends. Here are a few of my favorite trends/looks from NYFW. What are your favorites? 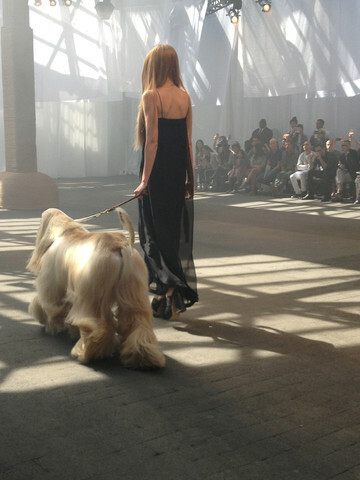 What will you be rocking Spring/Summer 2014? Cropped Tops– Cropped tops were one of the major trends this season. Everything from boxy, to fitted and flouncy. Check out some of my favorite variations! 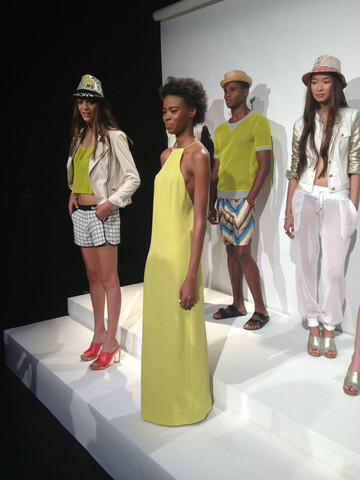 Trina Turk presentation- love the boxy silhouette and pop color. Trina Turk presentation- Love the boxy yet fitted silhouette in this seasons popular stripe print. cropped top with flowing high low statement overlay. Such movement and color, a serious must have! Christian Siriano Runway- This cropped boxy jacket has everything, circle cut swingy sleeves, and just the right geometric print. Deivie Presentation- Laser cut, pop color, script cropped top, YES PLEASE! The perfect little tee! Jill Stuart- Super cropped with the perfect little flounce. Chiffon– This beautiful fabric was seen floating under tunic layered ensembles and dancing down the runway. Here are a few of my favorite. 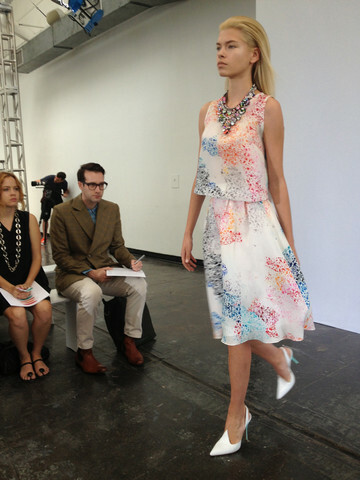 Tanya Taylor Runway- The prints and color at Tanya Taylor just put you in a happy place. 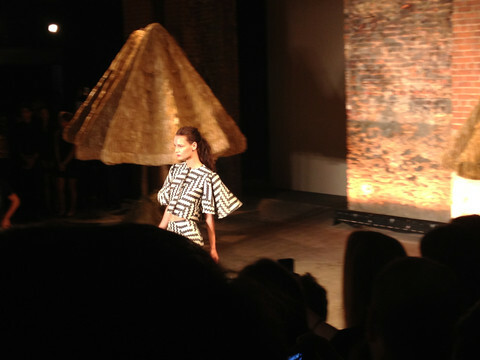 I loved the simple silhouette here, which was perfectly paired with this very Seurat inspired print and statement jewels. Trina Turk Presentation- We saw this severely scooped neckline on a number of runways this season. 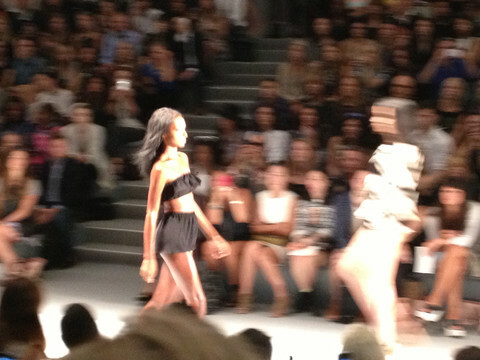 love the use of chiffon in the see though cinched pants, so summer and chic. Trina Turk Presentation- What more are you looking for in a chic beach coverup? Ethereal, amazing print and color, need I say more? 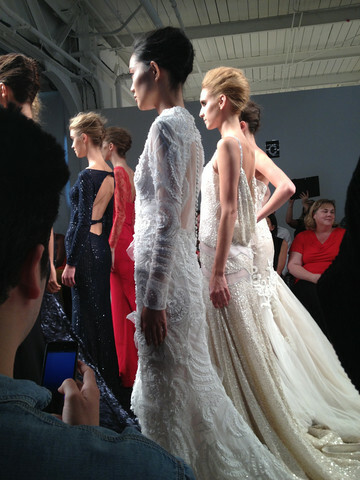 Jen Kao- The Jen Kao show was one of the most beautiful I experienced this season. that made you feel like you might just be there. just the right amount of skin. Steven Khalil nailed it for the perfect evening statement.